Ronald McDonald House Charities of North Carolina is fortunate to have the support of McDonald’s, its largest corporate sponsor. You may not realize this, but the restaurants and customers support our seven houses every single day. 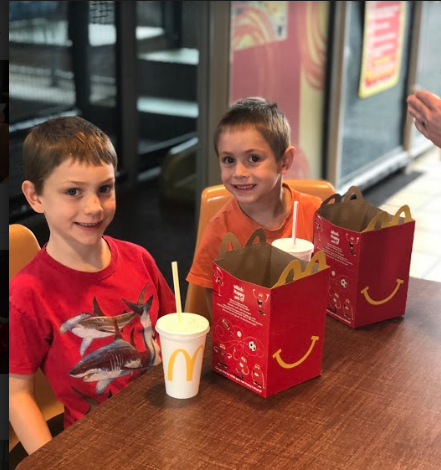 Across the state, more than 400 participating McDonald’s carry the RMHC Donation Box, which collects spare change all year long to support our statewide programs and services. McDonald’s also donates a portion of the proceeds from your Happy Meal and French Fry purchases to support our local Ronald McDonald Houses.To help spread this message, several local children took part in this video to explain how these purchases are supporting families across the state and to, most of all, say thank you. We are exactly one week away from this year’s Day of Change! And we need your help to make it bigger than ever! How? Head to your local McDonald’s on Monday, October 15th, and drop your spare change into the RMHC Donation Boxes located at the drive-thru and the front counter. 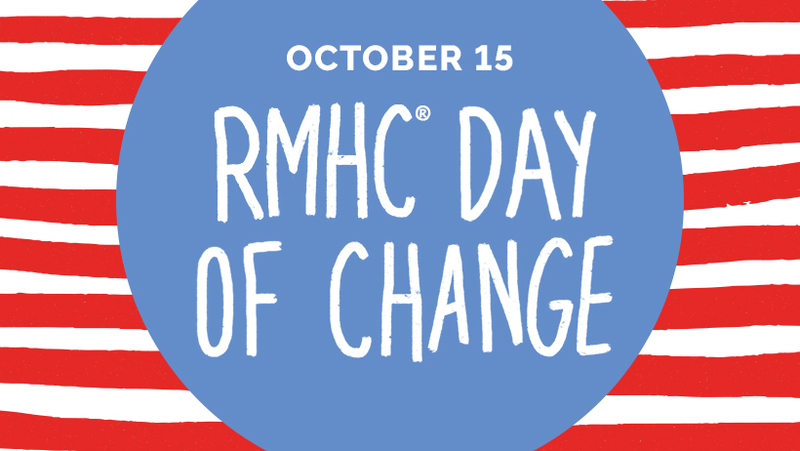 The funds from these Donation Boxes support children and families across North Carolina through our seven Ronald McDonald Houses.Please post about your participation in the Day of Change on social media and be sure to tag RMHC of NC on Facebook and Twitter, and include the hashtag #DayofChange. Don’t forget to reach out to your family and friends and challenge them to participate! In just one year, our seven Houses made a huge impact in the lives of families with sick or injured kids. They serve families from across the state, the country and world. 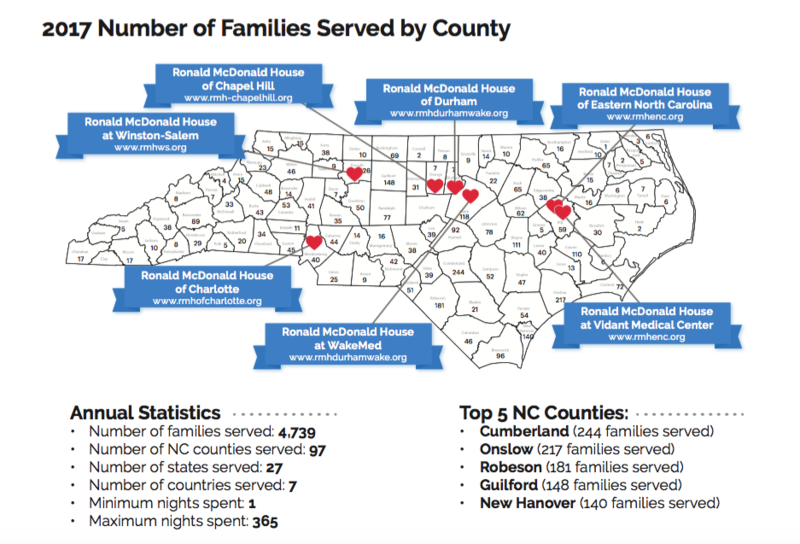 In 2017 alone, the Houses collectively served families from all but two counties in North Carolina. Thank you to our leaders, volunteers, hospital staff and supporters. We couldn’t do this without you! October 20th: Friends of the Ronald McDonald House of Winston-Salem will help celebrate the House’s 9th Annual Character Breakfast. The event will feature favorite princesses, superheroes and storybook characters. For more information on the event and how to purchase tickets, visit the House’s website. November 2nd: You’re invited to the Red Shoe Shootout where the Ronald McDonald House of Charlotte will be pulling for charity, literally! There will be something for all skill levels at the seventh annual sporting clays charity tournament, from experts to first-timers. To find out how to register your team, check out this link. November 30th: The second annual Capital City Shootout has been rescheduled to November 30th because of Hurricane Florence! The sporting clays tournament will help the Ronald McDonald Houses of Chapel Hill and Durham & Wake create and support programs that improve the well-being of children and their caregivers. For more information about the event and how to register your own team, click here. Copyright © 2018 RMHC of NC, All rights reserved.